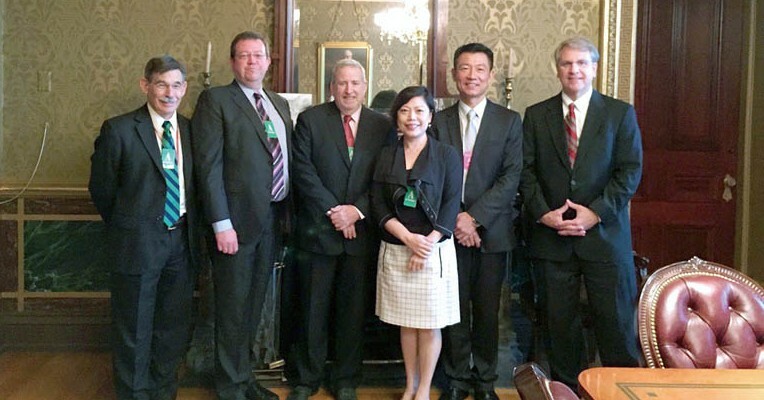 Each year since 1996 – usually shortly after release of the Taiwan White Paper – AmCham Taipei has organized a week-long “Doorknock” mission to Washington, D.C. to exchange views with U.S. government executive agencies, Congressional offices, think tanks, and others concerned with U.S.-Taiwan bilateral economic relations. The trip is always extremely useful. 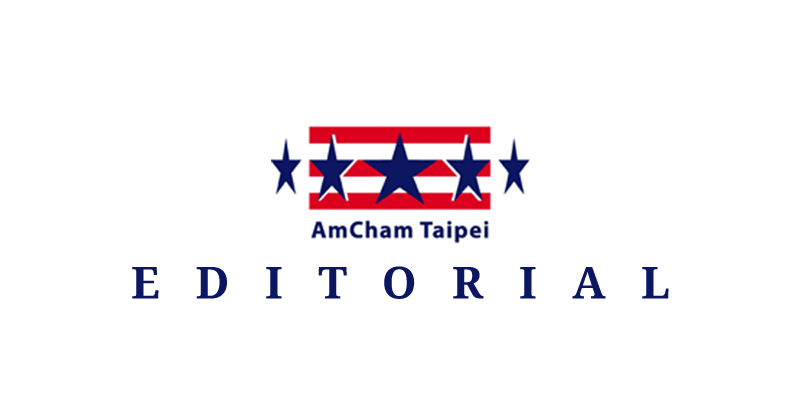 It gives AmCham Taipei the chance to update itself on the current thinking in Washington, while also reminding U.S. officials and opinion leaders of Taiwan’s importance as a major American trading partner (currently number 10), key player in the international technology supply chain, and bastion of democracy in East Asia. This year’s Doorknock was held the week of June 22. 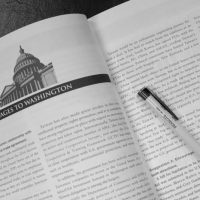 The central topic of discussion during most of the 47 Doorknock meetings was the Trans-Pacific Partnership (TPP) trade pact currently being negotiated by the United States and 11 other countries: When are the negotations likely to be completed? How soon thereafter would a second round of candidates be considered, and what are Taiwan’s chances for being included? The Doorknock delegation presented a number of solid reasons why TPP membership is not only of crucial importance for Taiwan’s future prosperity and economic autonomy, but also in the best commercial and strategic interest of the United States. In return, the AmCham Taipei representatives for the most part heard expressions of potential support for Taiwan’s eventual participation, but almost always accompanied by caveats that Taiwan must first prove its readiness to accept the high standards of economic liberalization and regulatory principles that TPP is designed to embody. The reality is that many in Washington have come to doubt the Taiwan government’s ability to make the hard decisions necessary to prepare this economy for entry into TPP. That conclusion may be rooted mainly in past irritation over agricultural issues – especially Taiwan’s unwillingness to adopt international standards regarding the import of beef and pork products – but the experience has led to a more general impression that “Taiwan is not ready” for TPP. 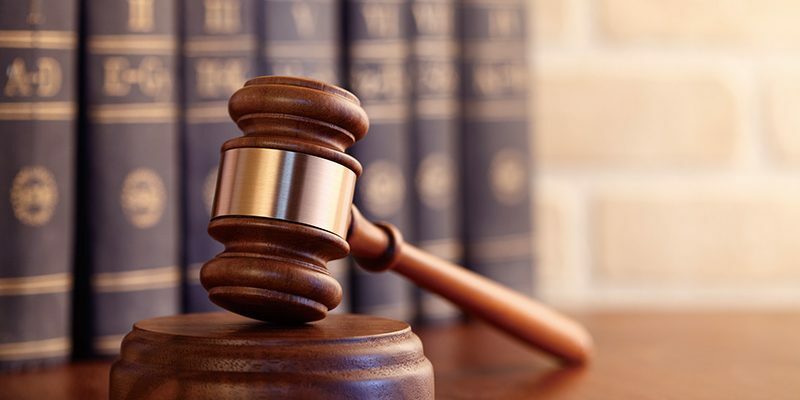 Exacerbating the situation is the number of other areas in which Taiwan regulators have adopted or seriously considered practices found in no other major economy in the world. The U.S. political breakthrough that recently brought Congressional approval of “fast-track authority” for President Obama is now expected to lead to completion of TPP negotiations in the very near future. With arch trade rival South Korea already working to position itself for second-round entry, Taiwan is now under increased pressure to burnish its candidacy. Despite the inevitable focus on politics in the coming months as next January’s presidential and legislative elections draw near, Taiwan cannot afford to allow the next half-year to be lost time in terms of economic reform. If the sensitive agricultural issues are still too controversial to tackle, Taiwan can show its sincerity and commitment by making progress on a long list of other outstanding issues. The expected TIFA Council talks this fall will be an excellent opportunity to demonstrate that good will. The Ma administration may have only limited time left in office, but it can use that time to build its legacy by bolstering Taiwan’s place in the international trading community. This entry was posted in Editorial and tagged TIFA, tpp, Trade, us taiwan relations. Bookmark the permalink.